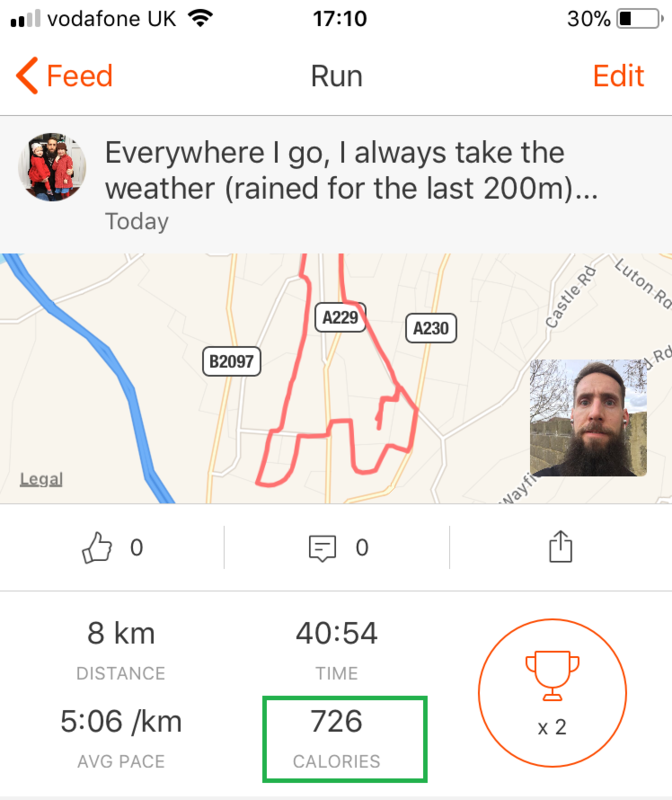 But do you find that all too often your run still feels like a mammoth slog after just a few hundred metres and you want to give up? That could be down to a few things. Maybe you ate too close to your run so you’re bloated? Not close enough so lacking energy? Too much stretching? Not enough? Lacking sleep? Even with the enigma machine you’ll struggle to crack that code because you’re likely looking in the wrong place. You should be looking in your shorts. Well, at the waistband at least (not actually IN your shorts). I’m talking about something that hardly ever gets mentioned amongst runners and that’s……your weight. There’s no fat shaming or judgement here but someone needs to brave in the running community and talk about this so it might as well be me. Can you imagine what your times would be like if you had to carry a 10kg backpack with you every time you went out? I think you see where I’m going with this. Body weight is arguably the single biggest factor that will affect your performance. It’s this simple. 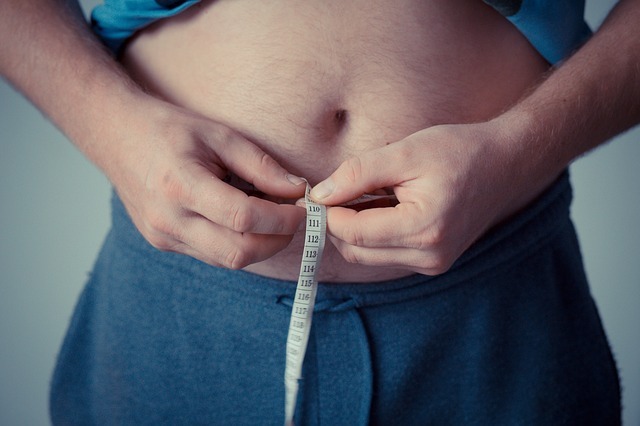 Lose weight – run faster (with seemingly less effort). For some reason no one ever wants to do the one thing that will make the biggest difference. If that’s because it’s all too confusing then let’s clear that up now so you can crack on with smashing endless PB’s from here on in…..
For convenience I’m going to use average figures here but just remember that you will likely fall somewhere either side. To lose 1lb of body fat (not body WEIGHT) you need to burn roughly 3,500 calories more than you consume. Assuming you wanted to aim for 1lb per week the easiest way to look at that is 500 calories per day. Every day. Even at weekends. What actually matters is the weekly amount so there is room for flexibility if you are partial to a little weekend treat here & there. For example you could increase your deficit to 600 calories per day Monday – Friday giving you 500 extra to relax with on Sunday’s. Going too low on any given day can leave you feeling tired, hungry & grouchy so don’t go crazy. 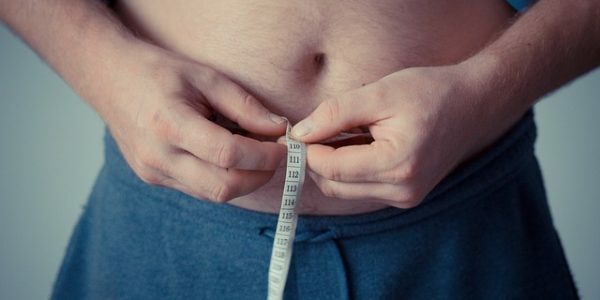 Eating 500 calories less all sounds great in practice but what does it mean in the real world? Before we look at that it’s important to state that you should try not to create your deficit at the expense of your protein intake or your fruit \ veg intake (although this MIGHT be necessary if you eat LOTS of fruit). The easiest way to get the calorie deficit you need is to find a few smaller habits you can implement to add up to the 500. For example – that choccy bar you have mid-afternoon, that cheeky pint, the latte that gets you going every morning? All about 250 calories each. That’s not to say that you have to be a saint and not enjoy your food but being mindful of how these things add up would be wise. If the thought of ripping these things from your daily life is all too much to bear then considering alternatives might be the way to go. Fruit instead of choccy bar, diet coke instead of a pint, black coffee instead of a latte. Only eating 3 square meals a day? Then it’s portion control that it going to be your friend here. The most common thing clients say to me is ‘I do eat quite healthy most of the time’ which tells me it’s all the little bits I mentioned before or just being oblivious to the calories that can be in healthy foods – blame Wicksy for that. Now you know that calories are what counts it’s time to consider how you will actually know what you’re consuming. You already track & log every single step of your training religiously and keeping tight control over your nutrition is no different. At least not when starting out and learning what works. 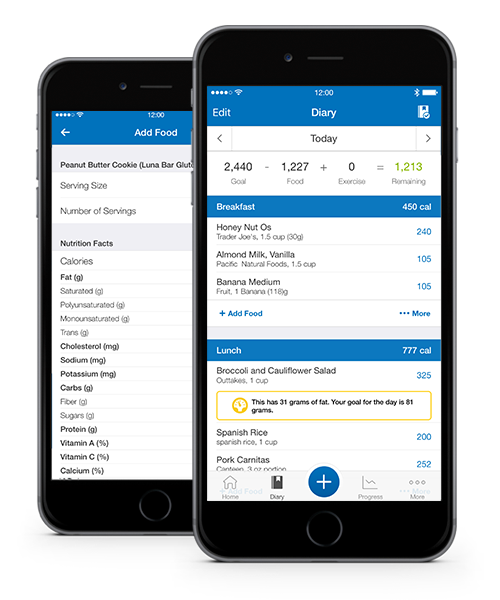 There are several great apps for tracking your food \ weight to make sure you truly know what’s going on and taking the guess work out of it. MyFitnessPal is the most popular. Just be careful to avoid the suggested calorie intake it gives you as it’s usually way off. Does the thought of weighing out individual grains of rice sound a bit tedious? Well sure but no one is saying that you have to weigh and measure everything forever but if you want to be SURE of success then it’s the way to go – at least initially. After a while you will learn better portion control instinctively and may choose to go back to a more intuitive approach, only with better accuracy and mindfulness than before. You will know roughly how much to eat to either gain, lose or maintain your weight based on your goal. 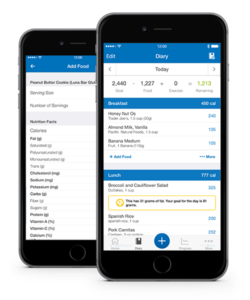 Simply add all your foods into MyFitnessPal as you go about your day or you can pre-plan you food and load it in. This will be time consuming initially but it will get so much quicker after a few days. All food should be weighed in uncooked \ dry weights and you should include everything including cooking oils, milk \ sugar in tea, sauces etc. Even beer and wine…..ESPECIALLY beer and wine. After 2-4 weeks you will get an idea of your average intake and what that figure has done to your weight over that time. Then you can adjust accordingly. ARE RUNNING TRACKERS SENDING YOU OFF COURSE? So you know exactly how many calories are coming in but how do you work out what you’re burning? The simple answer is that you don’t and never truly will. It’s such a complex and variable thing that trying to is a total waste of time. The number of calories you burn just existing is impossible to calculate as are things like walking, fidgeting etc. Most run trackers will give you an estimation of how many calories you burn on your run. Quick tip – they’re wrong. They always grossly overestimate the true figure. The safest option is to not even take note of it and definitely don’t ‘eat back’ those calories or you’ll be wiping out any deficit. There is a formula you can use to ESTIMATE your true calorie burn but again it’s rather generous and hugely individual. Take 2/3rds of your bodyweight in pounds and you get roughly the number of calories burned per mile. A 75kg (165 lb) person would therefore burn 109 calories per mile. Of course this doesn’t take into account your speed and the formula is massively generous so don’t get too hung up on it. Your best bet is to ignore the calorie burn figures altogether and just monitor your food intake vs your weight. You’re now armed with what to do and even how to do it but you remain unconvinced as to whether it’s worth it. You’re a runner and I know how you tick so let me serve this up and hope it’s as appealing as a lemon drizzle cake and a latte. For every pound you lose you will be roughly 2s per mile faster. Assuming you weigh 85kg (13st 5lb \ 187lb) and dropped down to 75kg (11st 11lb \ 165lb). A loss of 22lb or…..
I’d take that kind of improvement any day of the week. Want to get faster at running? Errr….yeah! Then you already know that you have to run regularly. Not just the once but a lot. Multiple times a week, every week over a prolonged period of time. Weight loss is no different. One doughnut doesn’t make you fat but one salad won’t make you healthier, leaner or faster. It requires just as much commitment as you put into your training to see the results you’re desperate for. That means being consistent, not sabotaging your efforts at weekends and not giving up because you got hungry once. Runners are all about speed and we want it yesterday. Be wary of overdoing the weight loss though. Cutting your food intake too aggressively for too long is never going to end well. You could end up with insufficient energy for performance and optimal recovery which will ultimately slow you down in the long term. This is because you may end up losing muscle as well as fat and reduce your energy levels to the point where you are more prone to injury. Try and take emotion out of the equation and stick with the numbers from your apps and your scales and you can’t go far wrong. WHAT’S LEFT ON THE TABLE? No one is telling you that you have to lose weight or that you need to. In fact of you are already on the leaner, lighter side then dropping weight through obsession about your pace is really not advisable so please be sensible. But it comes down to what you want more – food or performance. If you can’t learn to leave food on the table sometimes then you are leaving time on the table.